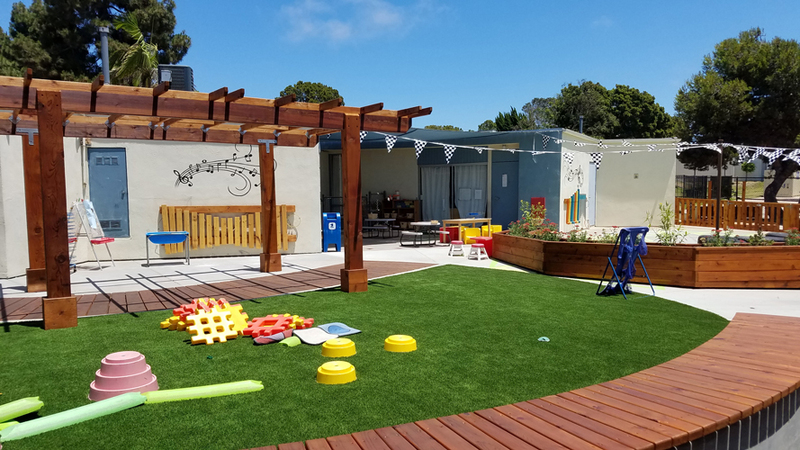 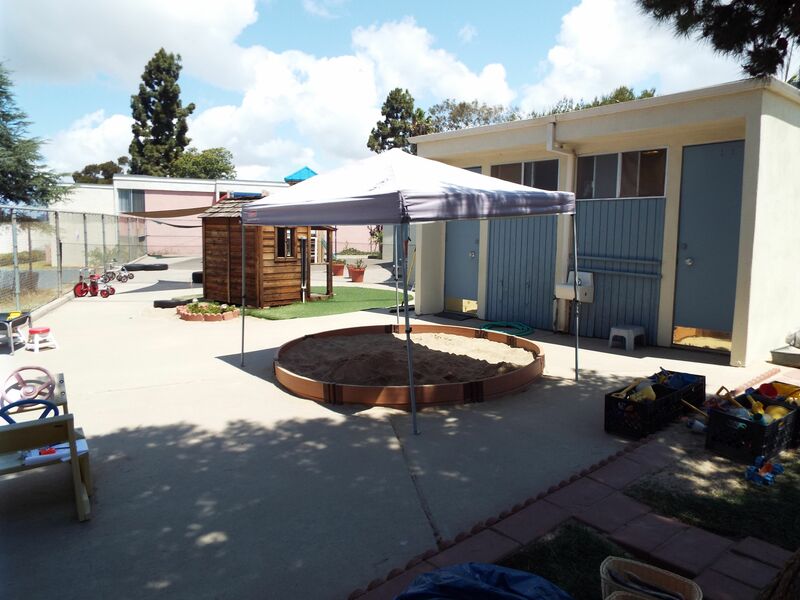 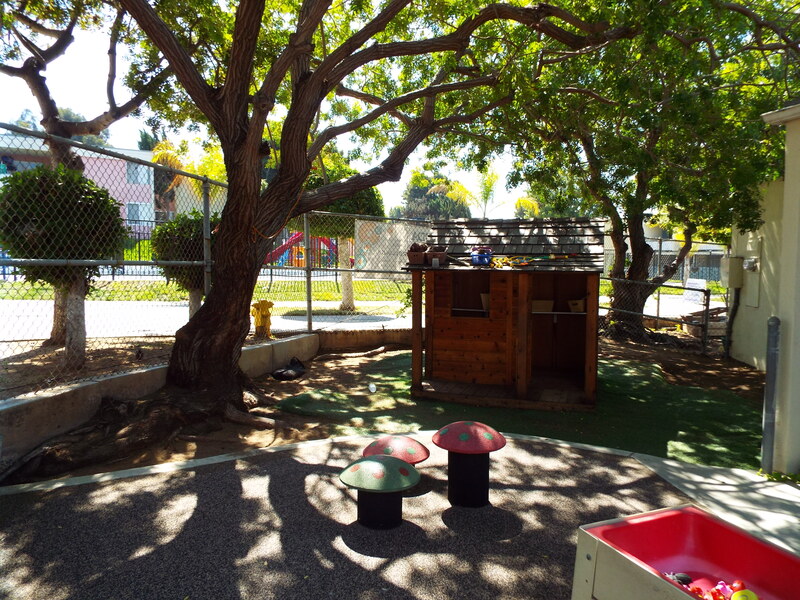 Located in the center of The National City Park Apartment complex, The Parks ChildDevelopment Center provides a healthy outdoor space for young children to play, learn and connect with the natural world. 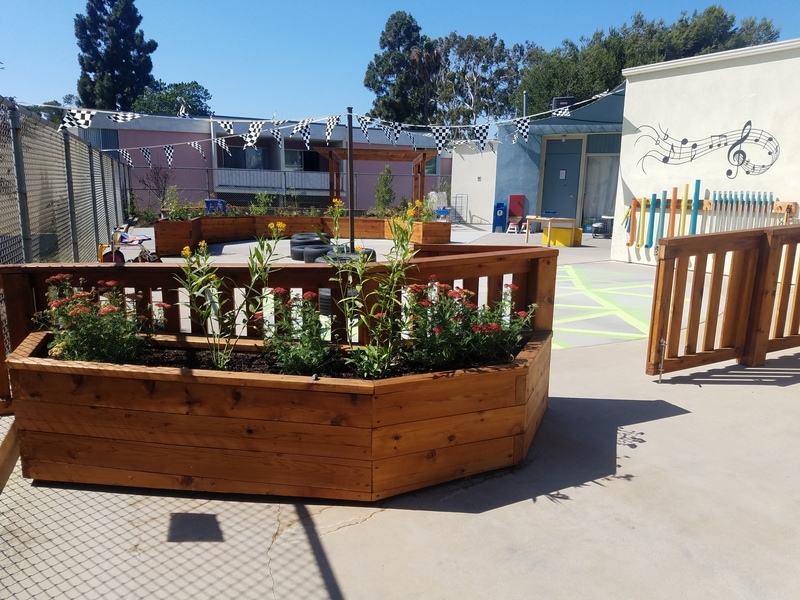 The design program includes: nature based settings for children to interact with and learn from, a garden to promote healthy eating, and more usable space to promote movement and gross motor activity. 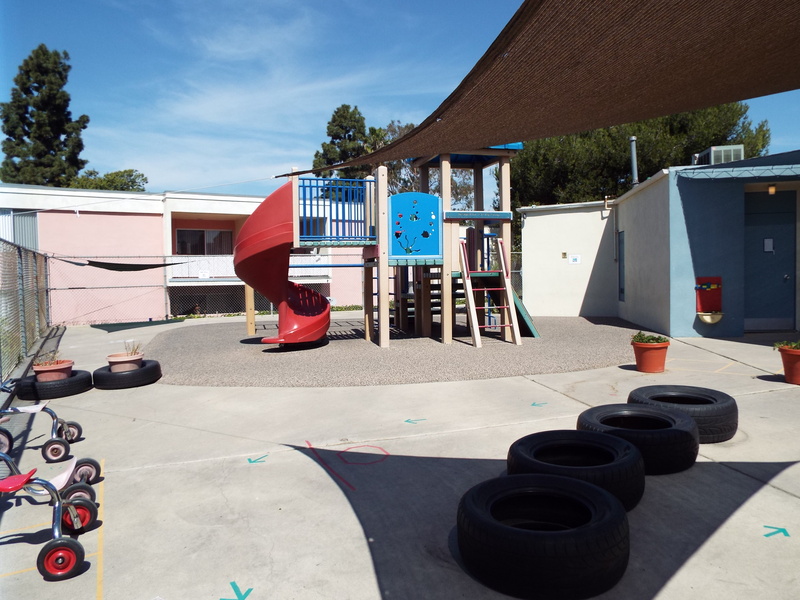 The design program was inspired by the juxtaposition of the center’s heavily urbanized and concrete location against the guiding principles and values of CDA to integrate a vibrant, healthy and more natural environment that support STEAM education.Splashes of color from wall and ground murals mixed with native and pollinator friendly pocket gardens transformed the concrete schoolyard into a dynamic play and learning environment.The design concept was developed with teacher input through a detailed survey and design review process in 2015. 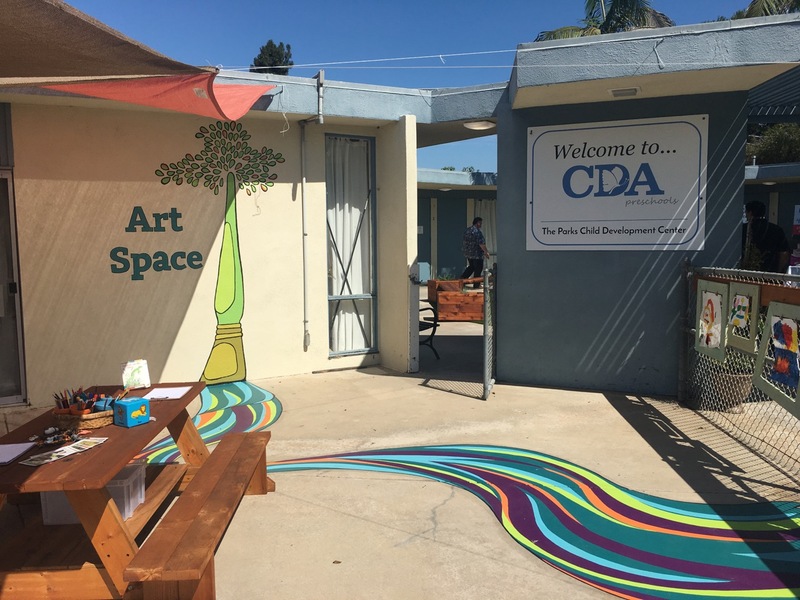 We created a concept design package to support CDA’s funding strategy. 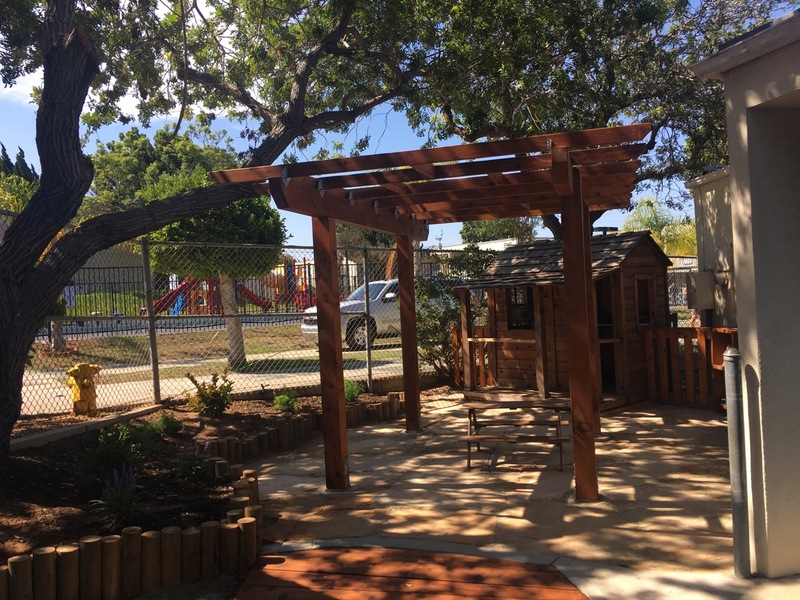 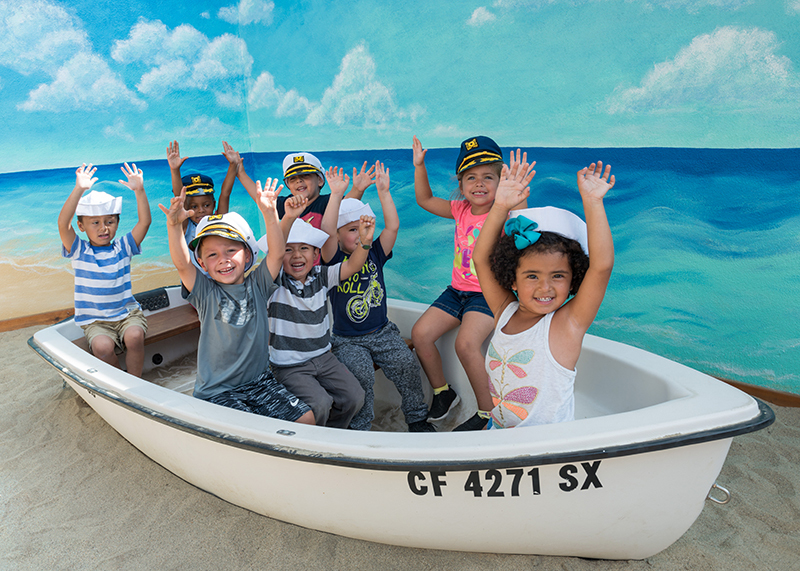 In early 2017, CDA was awarded a First 5 San Diego Quality Preschool Initiative (QPI)grant of $246,000 and received generous donations from MAEngineers, Inc., and Bank of theWest to help transform the National City Parks Child Development Center playground into a unique outdoor learning environment.